Life is easier with options. The BMW X5 takes that to heart and offers four distinct engine options. Each of these engine options offers its own set of performance capabilities. Check them out below and let us know which engine would be best for your lifestyle! 35i: This is a 3.0-liter inline 6-cylinder engine. It features BMW TwinPower Turbo technology that utilizes High Precision direct fuel injection. It has the potential to reach 300 horsepower with 300 pound-feet of torque. 40e: This is a plug-in hybrid iPerformance model. It utilizes the award-winning 2.0-liter 4-cylinder engine with a lithium-ion powered eDrive motor to deliver maximum efficiency and performance. It can produce 308 horsepower and 332 pound-feet of torque. This rockets the X5 from zero to 60 mph in only 6.5 seconds! 50i: This is the most powerful engine option out of the series. It is a “reverse flow” 4.4-liter TwinPower Turbo V8. With this under the hood, you can reach 445 horsepower and 480 pound-feet of torque. If you’re looking for an engine with a bit of umph then side with this one! Diesel: Sometimes we just want an engine that will produce a competitive fuel economy. If you want to save at the pump then the 35d 3.0-liter inline 6-cylinder engine is for you. 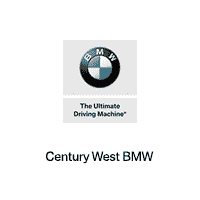 It uses both BMW Advanced Diesel technology and BMW TwinPower Turbo technology. It reduces fuel consumption and improves performance to produce 255 horsepower and 413 pound-feet of torque! Are you interested in learning more about your BMW performance options? Call or stop by our dealership today and one of our friendly staff members will be happy to answer any question that you may have. They are expertly-trained on the ins and outs of our BMW lineup and can help match you up with a BMW X5 engine that fits your lifestyle!